Way back in 1627, Francis Bacon published the first work that detailed growing plants without soil. That was the beginning. In 1699, John Woodward published experiments he had done growing in water. He was growing spearmint and discovered that pure distilled water is actually not ideal. It is better to use impure water, since it contains minerals. It’s the minerals that are the key. That is why today, we generally use a mineral solution. It was in 1842 that a list was created of the nine elements that are necessary for plants to grow. 10 to 30 years after that, various techniques were created for growing without soil. At the time this method was called solution culture. This method is still used today and is considered one type of hydroponics (edit: people have been asking us how to start their own indoor garden, so we’ve added this link). In 1929, the first person began suggesting that this solution culture should be used to grow agricultural crops; at the time he called it aquaculture, but that was already something else. This was started by a man called William Gericke and he astounded people by growing gigantic tomato vines in mineral nutrient solutions. He used no soil whatsoever and this was amazing to people. His work revolutionized agriculture. Despite that, he was given no love from his university and they did not allow hem to use their greenhouses for his experiments. He basically had to bribe them to get the access he needed. They wanted to have his list of essential nutrients that he used and he needed greenhouse access so they made the trade. Other researchers were asked to test his claims, since most people at his university did not believe his work was viable and were trying to disprove his research. 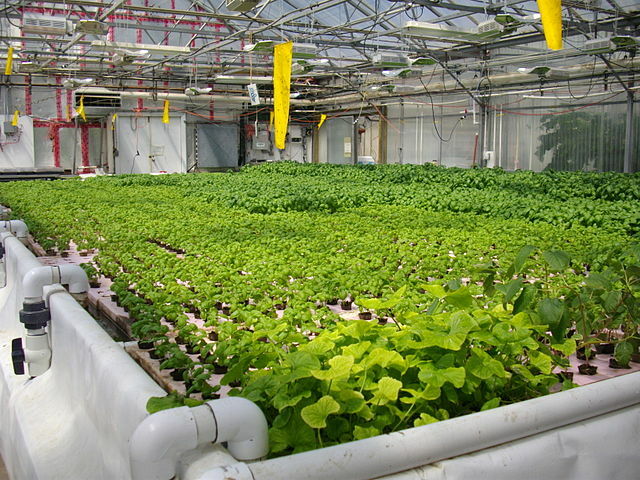 The researchers hired to disprove his claims said that hydroponic crop yields showed no advantage over regular yields, if good-quality soils were used. They ignored many factors in their research though, since they were hell-bent on disproving Gericke. For example they ignored the fact that the roots of the plants are much better aerated with hydroponics. This is big, because one of the most common and fatal errors made in gardening is over or under watering, meaning the plant gets too much or too little oxygen. This error is not a possibility with hydroponics. You no longer have to worry about giving the plant the exact right amount of water, which is the most difficult part of gardening. The airline Pan Am used to have a refueling stop on a rock called Wake Island. Hydroponics was used there to grow vegetables for the passengers. It was expensive to airlift goods there and since this island was just a rock, there was no soil. This is one of the first and most famous uses of hydroponics and one of the things it popularized it. Since then, there have been exhibitions at Epcot Center and of course NASA has done a lot of hydroponics research. It makes sense for them. You can grow in space using hydroponics much easier than with soil and they were actually expecting to use it to grow on Mars. The plan was to use LED lighting to grow using a different color spectrum and much less heat. This combined with hydroponics should make it possible to grow on Mars which would make a colony there self-sustainable. We could colonize Mars. And it’s all thanks to hydroponics.